Despite numerous algorithm updates, link building still remains one of the strongest ranking signals used by search engines. Yet our link building efforts mostly extend to commenting on blogs in the same niche (“nofollow” backlinks with no link juice) or contributing guest posts to simply brag about where we’ve got our content published (under strict scrutiny by Google). But if you’d like to increase your site’s authority and rank higher than your competitors in search engine result pages (SERPs), you need to build high quality links on a consistent basis. In other words, you need to have a link building strategy that delivers results. In this article, we’ll reveal 18 proven techniques to get high quality backlinks that will help you stay ahead of the competition and rank higher in SERPs. No time to read this guide right now? No worries! Just click the link below to receive a free PDF copy of this guide, so you can read it at a more convenient time. Infographics are not just engaging on social media but they are also great for SEO. Yet most people ignore infographics because they wrongly assume that it’s expensive and time-consuming. Using tools such as Canva, Venngage, and Piktochart, you can create fancy infographics in a matter of minutes. Another way to create beautiful infographics is to outsource it using sites such as Fiverr or Upwork. The next step is to identify bloggers and influencers in your niche. You can do this by using a tool like Buzzsumo. Once you’ve identified the bloggers, send them an email informing them about your new infographic and how it can add value to the content they have created on the same topic. If need be, offer to write a unique summary for the infographic. Everyone loves well-designed, informative infographics and half of the sites you reach out to will gladly accept to include your infographic in one of their articles. 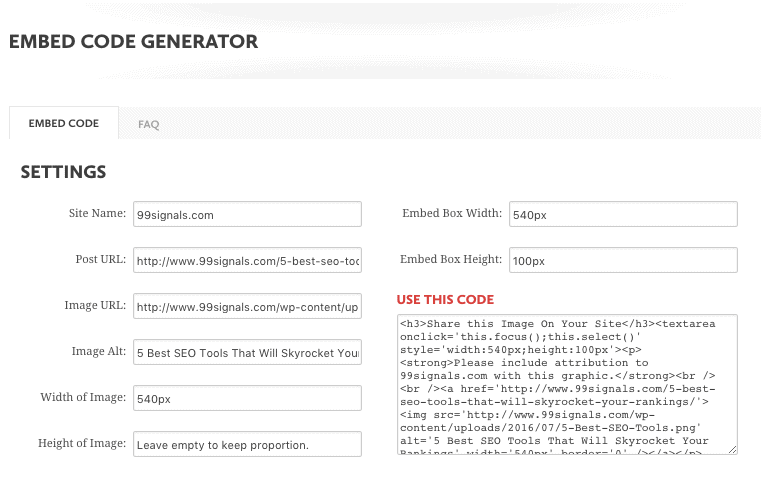 Siege Media’s Embed Code Generator allows you to generate embed codes for your infographic. Once the code is generated, all you need to do is copy and paste the code below your infographic. By generating an embed code for your infographic, you make it easier for others to share and embed your infographic onto their own site. Here’s the best part: every time someone includes your infographic in their content, you get an attribution. Yet another easy way to fetch a contextual backlink. Bonus Resource: For a more detailed description of link building with infographics, check out this article or download this free eBook. If you have a decent amount of visual content on your blog (infographics, screenshots, charts, etc. ), there is a high possibility that someone on the internet is using your images without giving proper link attribution. Step 1: Open a new Google Sheet and list down the URLs of all the important visual assets on your site. Step 2: Use Google Image Search to find websites that are using your images without attribution. Enter the Image URL in the Google search box and then click on ‘Search by Image’ to find all the websites which are using your image in the “Pages that include matching images” section of the search. Find out which of these sites are not giving you credit for the image. I’m [Your Name] from [Your Blog]. I noticed that you’ve used one of my images in your post: [insert link to the article]. However, you haven’t included a link back to my website. I’d really appreciate if you could add a link to my website below the image. In most cases, you’ll get a quick positive response from the site owners. And just like that, you’ve earned yourself a high-quality backlink. Product Hunt is a place to discover the latest technology creations, websites, mobile apps, and tools that everyone is geeking about. I love spending time on Product Hunt not just to discover cool new products, but also because it’s a great place to have thoughtful discussions with product-loving enthusiasts. To get a backlink from Product Hunt, you need to create an account on Product Hunt, link to your website, and then be active on the site. You can do this by writing reviews for products you’ve used, leaving your comments on newly launched products, and of course, by upvoting and downvoting products on a regular basis. Product Hunt has a domain authority of 75, so it’s worth having an active account. This particular method of getting backlinks is borrowed from Brian Dean at Backlinko and it’s insanely effective. Any of these above searches will show you a list of “best of” blogs in your selected topic. Step 2: Create a new Google Doc and add links to any quality blog that you’d like to get a backlink from. Also note down the email addresses of the bloggers you’d be reaching out to. In most cases, you can find them in the contact section. If not, use Ninja Outreach Chrome Extension to find their contact details. Step 3: Reach out to these blogs via email and present them with a link to your article and ask them if they can include it in one of their weekly/monthly roundup posts. 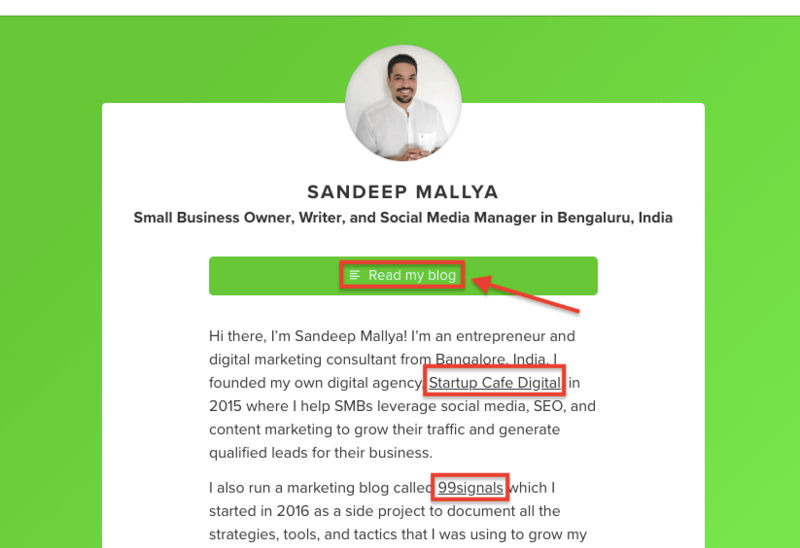 I’m a digital marketer and regular reader of your blog posts. I also run the blog at [Your Blog] and today, we published a pretty massive guide on [Subject of Your Blog Post]. I think it might be a good fit for your roundup posts and thought I’d reach out. No worries if it’s not a good fit – I’ll be a regular reader regardless! Many of these blogs will also allow you to post a comment along with a link to your website. One of the easiest and quickest ways to get a backlink is to post thoughtful comments on any of the articles on these blogs that you deem worthy to get a link from. Make sure your comment is THOUGHTFUL. Instead of posting “Great article”, think of creative ways to appreciate the kind of information the author has provided in the article. You may even ask a question. But you may be thinking that there are blogs which simply don’t allow you to provide a link to your website. They may be using Facebook comment system or Disqus to manage and moderate their comments. And even if they do, you’ll probably get “nofollow” backlinks which will do nothing to improve your search rankings. In such cases, the best way to get backlinks would to be use the email outreach method. Though it involves some work, the backlink you’ll eventually generate for your site would be worth the time and effort. 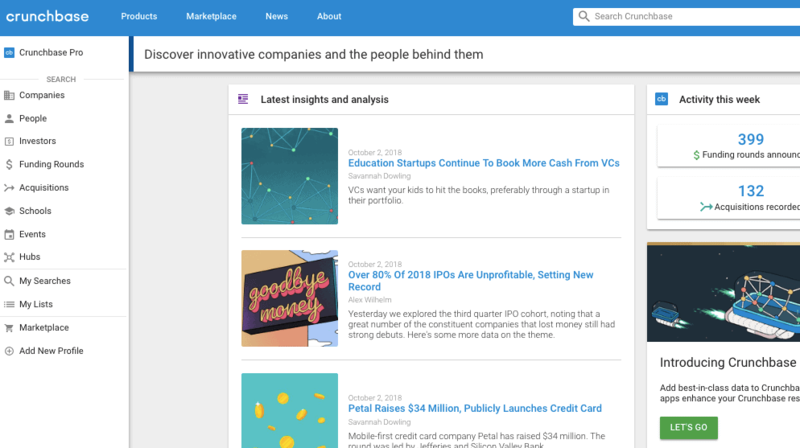 Crunchbase is a community of millions of users who like to stay on top of the latest industry trends, investments, and news about global companies – from startups to the Fortune 1000 companies. While Crunchbase is a great place to connect with users with whom you share similar interests, it’s also a great resource to fetch a high-quality backlink for your website. Just by creating a Crunchbase account and linking to your website, you’ll get a ‘dofollow’ backlink from a website with a domain authority score of 91. If you’re a small business owner or entrepreneur, create a profile for your company as well. It’s a simple way to generate a backlink from a high DA site and all it takes is two minutes of your time. Blog Aggregators are sites which list blogs from different industries. Examples include AllTop, Blogarama, and BlogEngage. Though they don’t have the same amount of link juice they once had, you can still get a decent amount of referral traffic from these blogs. 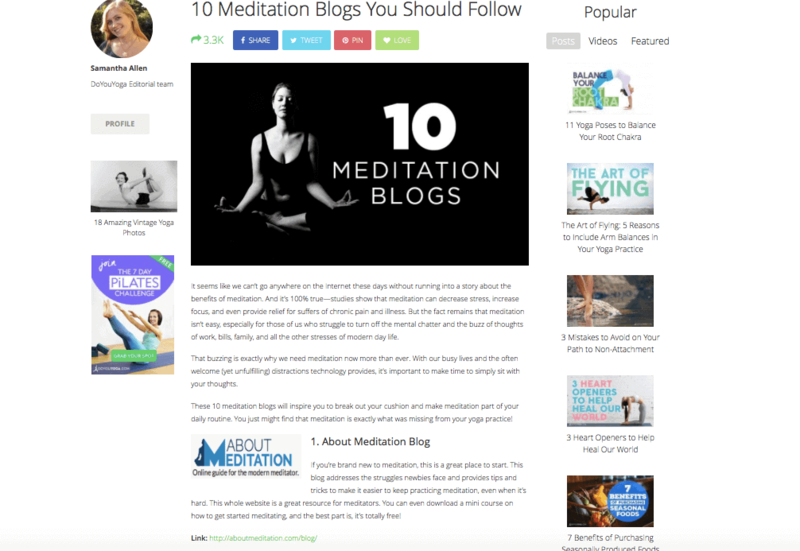 When it’s approved, you will get your own page on the blog aggregator listing all your articles. Here’s a complete list of blog directories/aggregators you can submit your site to. Yes, the links on Medium and LinkedIn are “nofollow”, but that doesn’t mean they are completely useless. Nofollow links can drive awareness, traffic, and can even lead to dofollow links eventually. If you have a new website, the awareness and traffic boost can be really important. With this in mind, start syndicating your content on Medium and LinkedIn (via LinkedIn Publishing) and expand the reach of your content to a whole new audience. If you can create native content on these platforms, that’s even more wonderful. But the very least you could do is replicate some of your top posts on to these two platforms and gain a wider reach and awareness for your content. There are lots of high quality blogs that do link roundups. Link roundups are weekly or monthly blog posts that link out to great content in their respective niche. At my agency blog, we used to publish a weekly roundup of social media news and call the segment ‘This Week in Social Media’. These articles used to include headlines of all the top social media news stories in a given week with a link to the source below each headline to corroborate the news story. You will find blogs that do similar roundups in your niche as well. I’m [Your Name] from [Your Blog URL]. I know you like to make compilation articles about everything [TOPIC] – so I just wanted to send a few of my recent ones your way. I’d really appreciate it if you could include these articles in your monthly roundup. Just sit back and wait for the person to respond. If your content is the right fit for the blog’s roundup, then you’ll get a quality backlink for your site. With an About.me profile, you can get an authoritative backlink (About.me’s DA is 92) in under five minutes. This is yet another technique which I learned from one of Brian Dean’s articles and I’ve found it extremely useful. Step 1: Find sites in your niche which have either shut down or changed their names and URLs. Step 2: Find sites linking to the old URL. Step 3: Reach out to these sites and let them know about their outdated link. To explain this technique in a better way, let’s take the example of Moz, a popular SEO tool run by SEO Guru, Rand Fishkin. A while back though, Moz was operating as an SEO agency named SEOMoz. As a result, they had to change the URL from seomoz.org to Moz.com. Sure, if you visit seomoz.org, it redirects to moz.com. So the links used by sites linking to seomoz.org aren’t broken, but they are outdated. This is because the link points to the old URL and the anchor text has the old brand name. As you may realize, this is a huge opportunity for people running SEO/Marketing blogs to reach out to sites that are still using the seomoz.org link in their content. And there are plenty of sites doing just that. In order to make this technique work for you, you need to keep an eye out for sites that are either rebranding or changing names. Use PRWeb to see whether there are any brands in your niche that have recently rebranded. Use this search string – “your keyword” + rebrands”. Do a similar check on Google News as well. Once you’ve found a site which has rebranded or changed its URL, it’s time to reach out to sites which are still using the old URL in their content. Just copy the URL and paste into your backlink checking tool of choice (I recommend Ahrefs). You’ll find dozens of sites which are still linking to the old resource. The last step in the Moving Man Method to reach out to these sites and give them a heads up about the outdated link they are using in their content. And then give a subtle suggestion to add your link to their site. To learn more about the Moving Man Method, click here. Help a Reporter Out (HARO) is a sourcing service which connects journalists and bloggers with relevant expert sources to meet journalists’ demanding deadlines and enables brands to tell their stories. Subscribing to HARO provides you with an opportunity to fetch high quality backlinks from authority news sites. Sign up for HARO as a source here. With HARO, you can build backlinks from authority news sites such as WSJ, Mashable, Inc, FastCompany, Reuters, etc. Scoop.it is a site where people aggregate their favorite content around the web into a magazine format. It’s also an excellent place to get high-quality “nofollow” backlinks and boost your referral traffic. So how do you go about fetching backlinks on Scoop.it? It’s quite simple really. Step 1: Give a search on the topic of your content. Ex: Social Media Marketing. Find users who have magazines with lots of followers and views. Step 2: Pitch your content to these people by using Scoop.it’s ‘suggest’ feature. You can share the same content with 5 people in a day and chances are that about 50% of them will share it with their network. You may have mixed feelings about Google+ as a social network, but it still shows up prominently on Google, mainly because it’s owned by the search engine giant. But did you know Google+ allows you to get ‘dofollow’ backlinks right from your Google+ profile page? Here’s a glimpse of my Google+ profile. As you can see, I’ve given links to my marketing as well as wellness blogs by updating the “Story” section. In order to add more link juice to these backlinks, make sure that you are active on Google+. Share content and interact with other people on Google+ regularly. Consider giving a testimonial for a product that you really love using. All companies love showing off customer testimonials on their home page or have a dedicated page for them. Once you’ve written the testimonial, make sure you let them know that they can include your testimonials on their home page or testimonials page. 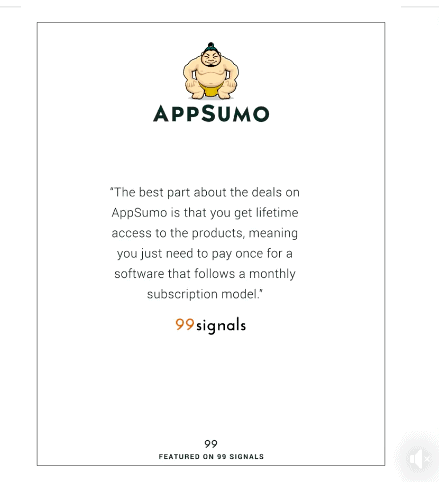 It’s been featured on the iDevAffiliate website as well as AppSumo’s website and used in several of their promos. Link reclamation is simple and works like magic. It’s that simple and it works in most cases (like it did here in the example above 🙂 ). A tool like Buzzsumo can help you find unlinked mentions of your brand. Setup a content alert for your brand or domain on Buzzsumo, so that whenever someone mentions your brand, you get an email alert. If they have linked back to your site, awesome! If not, then move on to step 3. We really, really appreciate it. I’m reaching out today to ask if you could add a link back to our site. That way, people can easily find us while reading your article. Either way, thanks for the shout out and keep up the great work! Link reclamation is an easy, yet effective way to get quality backlinks for your site. Link building with Pen.io is a web 2.0 strategy, but it’s one of the easiest and fastest ways to get a quality backlink (pen.io has a DA of 67). Having said that, I’d urge you to proceed with caution. Web 2.0 link building is not exactly black hat, but it’s certainly a gray hat technique which may land you a Google penalty. Use this link building technique only if the other techniques listed here are not feasible. With most web 2.0 properties like Blogger, Tumblr, etc. it’s often recommended that you spend time writing 300-500 word quality articles from time to time to make the backlinks seem genuine. Though a few bloggers just post a link and picture on pen.io, I suggest you spend some time on your article so that the link looks authentic. A broken link is one that points to a page on a site that has since been moved or deleted. In other words, these are pages that return a 404 error. Broken link building involves some bit of work, but it’s a safe way to generate fresh, high quality backlinks for your site. Use tools such as Check My Links or Broken Link Checker to find broken links from a site you want to fetch a backlink from. Once you’ve found the broken links, reach out to the site owner and let him know about them. Share relevant links from your site that the site owner could use to replace the broken links with. Voila! You’ve earned yourself a high quality backlink. If you’ve just launched your startup, there are tons of startup directories you could submit your site to. Perhaps the most popular startup directory is BetaList, a directory which is focused specifically on early-stage internet startups. The submission is free, but if you’d like to expedite the process and ensure that your startup is listed, then you’ll need to pay a small fee. You can check out their submission criteria here to see how they review the startups. Even if your startup is not eligible for submission at BetaList, there are lots of other startup directories with high DA which will accept your submission. 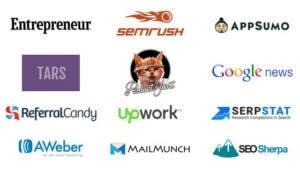 Here’s a list of 100 startup directories compiled by Ninja Outreach. Now that you’ve learned these powerful link building techniques, it’s time to get started and test these techniques out. Remember: The links you build should be natural, so they don’t hurt your online rankings. To make sure you don’t make a lot of common backlink building mistakes, check out this step-by-step process on how to build backlinks the right way in 2019. Which link building strategy gets you the best backlinks? Let me know in the comments section. Editor’s Note: This article was originally published in July 2016 and has been updated for freshness, accuracy, and comprehensiveness. 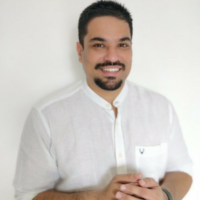 Sandeep Mallya is the Founder/CEO of Startup Cafe, a Bangalore-based digital marketing agency. He is an active member of the startup community, having worked with several early-stage startups and accelerators. 99signals is Sandeep's inbound marketing blog. Here you can find tips and insights to grow your site's traffic. 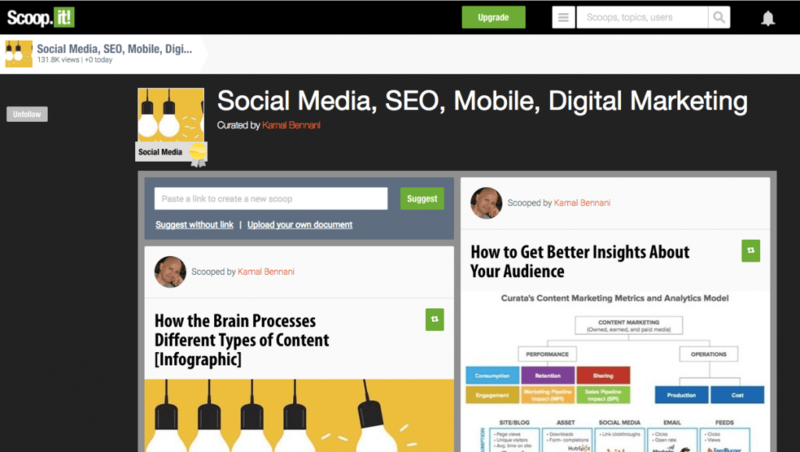 8 Amazing SEO Tools You Must Try in 2019 — Updated! Every people try to take high-quality backlinks for their business enhancement and growth. Not only performing guest posting and blog commenting give you the high-quality backlinks. Thanks for sharing the unique and informative article with us. Really perfect advise and step by step I did them all. Nothing really new here. When I read the title “Highly Effective & Rarely Used”, I was expecting some mind blowing stuff I’ve never seen before, but anyone who reads seo blogs has heard of all of these; mostly all can be found on Backlinko actually. Hey Austin – Thanks for your feedback. I’ve updated the article since you last read it. Perhaps you can find something new and interesting this time! 🙂 Backlinko is one of the best SEO blogs out there, which is why there are several shoutouts to Brian Dean in this article. Having said that, a few tips outlined here are not featured on Backlinko. Amazing! Thank you for sharing. It is essential for every business surviving online to create backlinks. Check out list of tools for the purpose of marketing, advertising, SEO, CRO, Saas, web development, etc. all available at BetaPage for growing business. I have this particular challenge gathering high quality backlinks. I ran into a site that offers free backlinks, but discovered Google frowns at such. My lifestyle blog is focused on Power Quotes and Tips on How to make money online in Nigeria. Can you make specific recommendations to grow in my niche? Competitor analysis is also the unique way to find back links of high quality and makes your business website stand out from competitor. The on-page seo is one time food, while the backlink creation is the need to improve business brand visibility forever. Thanks for this awesome writing. I have a question. Please make me grateful giving proper advice to overcome this. I usually work on my blog at least 10 hours per day but why I can’t get proper traffic? I’ve performed a lot of ways of SEO like Blog commenting, Web 2.0 link building, Directory submission, Guestbook posting etc. But yet I’ve seen a positive result. Of course, I’ve used “White hat SEO” method while performing SEO. Although, I’m ignoring by Google. Why? Will I need to make long my working period than before? I am eagerly waiting for your kind reply. Actually I am running 3 small niche website and these techniques will be helpful for me because most of my competitor don’t know about white hat SEO techniques. So I am very happy to read about these techniques. Thanks for sharing your knowledge with us. Hey, Nicely elaborated but most of the techniques people are aware of and using. Let us know some interesting stuff that works better than existing ones. That’s a fantastic post. You have covered all the actionable post and ellaborated them very nicely. I like your writing style. There is one more trick I would like to share: Just check your competitor’s backlinks and outreach to those who are provinding them the links and introduce your post to them. There are more chances to get a backlink from them in their existing posts or in future posts. Thanks for sharing such useful tips. Nice content. Very informative article – very useful for bloggers & digital marketers. Thank you for sharing. Thank you for the tips, the roundup tip looks interesting. My mission for June is to try to increase my backlinks! Might try these: roundup, broken link checker, website review. I have tried the directory option… but since I tried a few, I’m constantly spammed with emails and phone calls! Wonder if the directories are worth it! Perfect advice for the new websites, thank you for sharing. Hi! Thanks for this info! Excellent article. Thanks for these ideas, i hope it will increase backlinks on my website too. Very Nice article about backlinks. It will help me to get more traffic for my website through these super backlinks creation techniques. Thanks for sharing this informative post. Its a very knowledgeable article on backlinks. I have made many backlinks from the tips given by you. Such a great site for bloggers like me. who can not decide which site have proven tips to get a higher ranking? thank you for sharing great articles and also your site looks great. Hey Sandeep in this article i reading some new things for me your way of describing is easy and understable. i will follow all the technique. Thanks, Naresh. Glad to know you are finding the articles on my blog useful. Keep checking in for updates! Great stuff here dude. A great list of backlinks building strategy! I like 2 in particular: the broken link building and quest posting! Thanks for sharing! I am the owner of softwareswork.i am fully inspired by your article about backlinks. thanks a lot for sharing such a great knowledge. I appreciate it was a good blog from your end. Very informative and thanks for sharing this man. I will implement the sixth step and it actually helps as well. Thanks for these backlink methods, I will try these and I hope it will increase backlinks on my website too. Comment: thanks you really help me out. You have shared with us very useful info because in this 14 Techniques I know only a few of them. And these days getting a quality backlink is not an easy task but after going through this article now its little bit easy to get backlinks from these techniques. Thank you so much for sharing this valuable content with us. This is a great article and I would also like to share some additional knowledge to the readers. What makes the best backlinks? And what elements make up the most powerful backlinks? The first is relevancy which means link pointing to your site must be from a website related to what you’re talking about. Example: So if we have a website about plumbing, we’re not going to get much value from a site that talks about food or a site that talk about fitness. The second one is authority, the site needs to have some authority, it needs to have some links pointing into the site itself. Example is a brand new website doesn’t have any links coming, in whereas an established site that’s been around for years will have some powerful backlinks and this is where you use tools like ahrefs. There are a few different types of backlink, you have contextual, footer, sidebar, image links even and we’re looking for contextual links, surrounded by relevant text. So if there was a paragraph, talking about the sort of the best london handyman, something like that and in your link in that paragraph was a link to a london plumber and that’s gonna be a lot more powerful than just a link in the sidebar. And those are the three elements that make up the most powerful links. Thank you for sharing your knowledge with us, it was worth reading. We’ve never tried submitting our site to feedback sites or blog aggregators, neither have we attempted using Google+ for acquiring backlinks. We will consider it in the future in order to bring some diversity to our link building strategy. Finally, we would like to answer your question – link building strategies that get us the best backlinks are described in our article The Easiest Link Building Techniques (https://prospected.com/the-easiest-link-building-techniques/). They are probably known to everyone, but one can’t deny the fact that they are still beneficial. Hey Katarina – Glad you liked this article. It’s a bit outdated, so I’m planning to update it with a few new techniques that haven’t been listed here. I’ll take a look at your link building article and share my views on your blog’s comments section. Really useful. Thanks for sharing your tips. HELPFUL POST. WAS LOOKING SOME TIPS ON BUILDING BACKLINKS AND FOUND YOUR AMAZING POST. Great post as usual, Sandeep! Thank you for great post, really need it. Wow, I usually follow SBM links, i.e Google+ and Scoop.it websites. The toughest process I see is guest blog post and info-graphics. Do you have any tips how to learn and get engaged in these both? Would love to learn guest blogging and info-graphics backlinking. 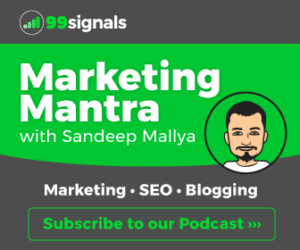 Hey Sandeep, all great tips, I learned a lot, thank you. Thanks for the tips Sandeep, I’ll make good use of them, especially the Pen.io one. First time I hear of it. A really informative post especially for those who are struggling to create high quality backlinks for their website. Thank you so much Sandeep for this article on high quality backlinks. Very informative article very useful for bloggers & digital marketers. Thank you for sharing. all great tips, I learned a lot, thank you. thanks sandip; It will help me to get more traffic for my website through these super backlinks creation techniques. You just nailed it with the advanced link building tips that helps newbie bloggers like us. Please keep writing such informative articles. This resource definitely helps this community to avoid link building mistakes. I have bookmarked this article to implement for my blog! Hi Sandeep, Great list of backlink websites and detail explanation. I would like share one more resource with you Trendy Startups https://trendystartups.com Add this website in your list too. I hope it will also helpful for users. Perfect – just the kind of thing I was looking for! I’m an SEO beginner and whenever I search for linkbuilding guides, I’m overwhelmed with giant walls of text and jargon. This breaks it down perfectly, without skimping on detail – thank you! Wow! your article is so nice, thanks for the amazing points step-by-step. I have got a lot of information on this article. I have one query if comment any high DA do follow website. It will help my blog or not. Good article, nice to see some easier steps as well for newbies and those of us not making the money to pay for ahrefs and buzumo which are both about $100 a month. I’ll definitely try some of them. I think it’s worth removing google plus now as it’s shutting down in a few weeks. Thanks, Jason. Yes, time to remove G+ from the list. Will update the article soon and add a few new link building tips. I appreciate the link building strategies you shared in this post. They are genuine and add more value to our websites. Really a great resource for bloggers and web publishers. A well explained simple article for SEO newbies. You deserve a clap Sandeep…keep sharing!! Thanks for post it was really helpful for me.